Three weeks of competitive screening have brought together 30 skilled kiddie chefs from all over the country, impressing viewers with creations average eight to 12 year old’s might not be able to cook with ease. The battle heats up in the “Junior MasterChef Pinoy Edition” kitchen tomorrow (Sep 17) as the top 30 kids face the next round of competition called the Invention Test. They will be split into two groups of 15 contestants. The first group will have to conceive wow-worthy recipes made with chicken and vegetables. The other 15 young chefs will have to create dishes with pork and fruits as the primary ingredients. They will make their way around the kitchen to cook eggs benedict with apple glaze, stuffed herbed French grilled porkchop, Filipino sushi, torilla crusted chicken with cheese pimiento and roasted pistachio, and salsa on a bed of Mexican pillaf with Mexican salad and guacamole, among others. Which dish will delight the taste buds of host Judy Ann-Santos Agoncillo and chef judges Ferns, Lau, and Jayps to remain in the competition? Only ten will be picked out for the top 20 official contestants, while the remaining 20 who were not selected will return next week to go through an all-new challenge. As the culinary race gets tough, Chef Lau, one of the three judges, admits he makes extreme effort in imparting cooking know-how’s instead of plainly criticizing the kids’ creations. “If you are not honest, the kids won’t know what mistakes they’ve done. But there are certain ways of saying things. 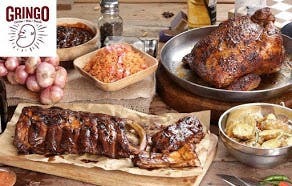 You cannot just tell them bluntly that their dish is not good,” he says. Chef Lau explains that judges should critique in a way that kids will understand and at the same time, will encourage them to do better. “It’s our job to make them learn and bring out the best in them,” he added. Watch “Junior MasterChef Pinoy Edition” this Saturday (September 17), 6:45 PM after “Wansapanataym” on ABS-CBN. 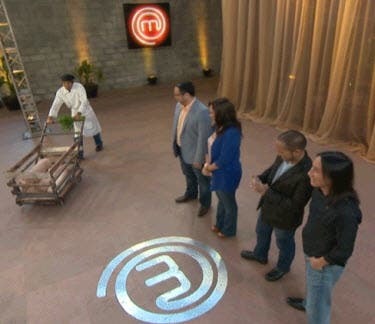 For updates on the program, like http://www.facebook.com/jrmasterchef on Facebook, or follow @jrmasterchef_ph on Twitter.